It was pretty damn sexist! 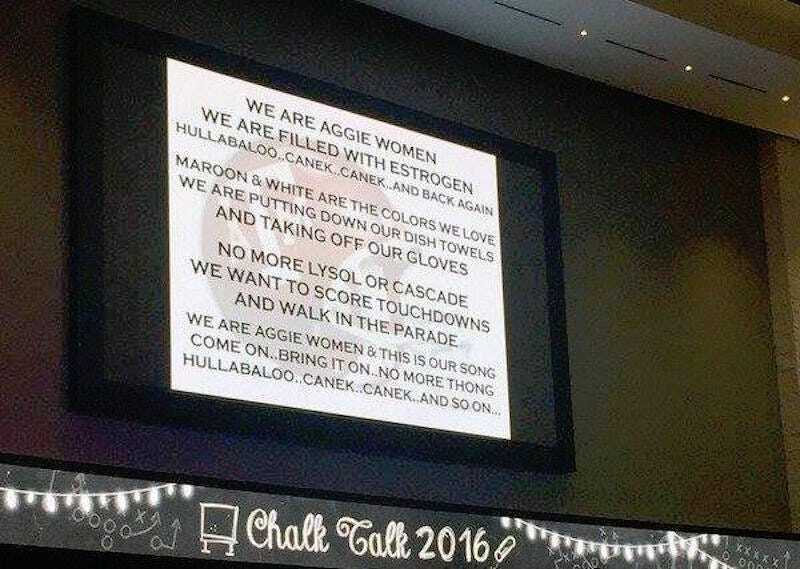 Yesterday, the Texas A&M football program hosted an event called Chalk Talk For Women, at which female Aggies fans who paid an $80.00 entry fee could socialize, eat, and be subjected to sexist song lyrics. This song is not very good.